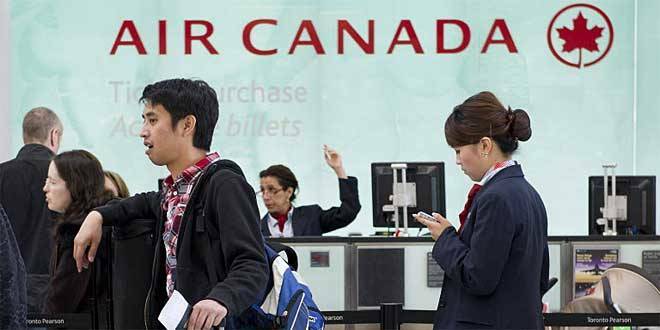 How would you rate your experience with Air Canada ? Air Canada was founded in 1937 as Trans-Canada Air Lines. The company is the largest airline in Canada, with more than 1,500 flights every day. The company is the world’s 10th largest airline and is a founding member of The Star Alliance network of airlines. The company was renamed Air Canada in 1965. In addition to the main airline, the company also had several subsidiaries, including Air Canada Vacations, Air Canada Cargo, Air Canada Express, and Air Canada Rouge. In 2000, the company acquired their competition, Canadian Airlines. 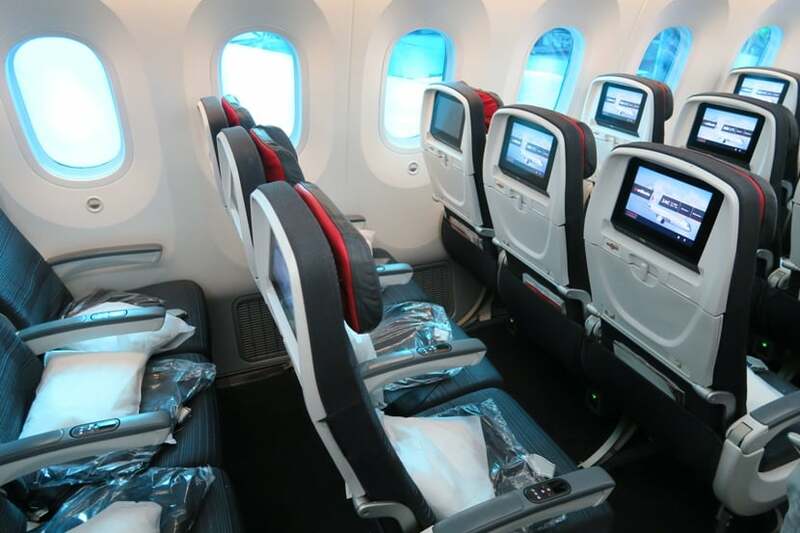 Starting in July of 2006, the company launched on an interior makeover of all planes in the fleet, including in-seat games, LCD touchscreen televisions and internet service, and some models having their interiors completely gutted and new cabins installed. In February 2017, a new retro red and black aircraft design was launched, to coincide with Air Canada’s 80th anniversary and Canada’s 150th anniversary of Confederation. Currently, the airline flies to 21 domestic destinations and 81 international destinations, including the Americas, Europe, and Asia. Along with its regional partners, the carrier serves over 182 destinations in 47 countries on six continents worldwide. Air Canada’s frequent flyer rewards program, Aeroplan, allowed for both points collection and spending, as well as status and rewards as an Air Canada customer. 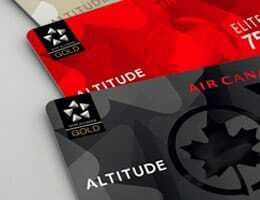 As the Air Canada and Aeroplan changed, the division of points collection & spending, and had Air Canada introduce an internal rewards program, Altitude. Altitude is also going to be updated and replaced sometime in 2020. In 2016, the company had $21.6 billion in revenue and approximately 28,000 full-time employees. Question 1: What is the phone number for Air Canada? Answer 1: The phone number for Air Canada is 1 (514) 393-3333. Question 2: Who is the CEO of Air Canada? Answer 2: The CEO of Air Canada is Calin Rovinescu . Question 3: Who founded Air Canada? Answer 3: Air Canada was founded by Minister C.D. Howe in 1937. I am writing to you in desperation at this point. I have had a horrendous experience on your airline and the nightmare continues. I have phoned several times and each time I am given a different story in regards to our bags. We were originally booked on AC012 from Shanghai, China to Montreal Canada on 3/6/19. Our flight was canceled so we were rebooked the next day on AC028 to Toronto, ON with a connection to AC728 to NY-LGA. After arrival to Toronto, we were advised that our flight was delayed. The flight never left. We requested our luggage as we had already missed work due to mechanical problems and more importantly, our final destination was Rochester, NY with a connection via Delta Airlines. The flight was missed on 3/6/19 due to cancellation and we were informed that we needed to pay $188 each to fly the next day. We never made the next day due to another mechanical failure. We asked to have our bags pulled so that we could catch a Greyhound bus to reach our final destination, Rochester, NY. We waited for over two hours for the bags then inquired again and was told that our bags could not be located. We then were told that they would be forwarded the next day. Because it took so long, we missed the last bus and had to stay in a hotel in Toronto. I was ill and needed medical care. We have been calling since Thursday and have receive nothing but the run around. First, we were told that two Black bags were located. The we were told that a grey bag and Black bag was located. Now we are being told that only one of the four bags have been located. We never received them. We have called each day only and have been told a different answer each day. This has been a nightmare for us. First the flight problems now our luggage. We need your help to resolve completely. I can be reached at (585) 489-XXXX or email: Nemrac033@ gmail.com. On September 5th, Andrea Raymond, Lead Baggage Claims, informed us that our reimbursement check had been sent and since we never received it, she confirmed our address XXXX E. Patrick St., Gilbert, AZ 85295, USA and requested a stop payment be placed and a new check would be issued. After numerous emails to your customer service, corporate and Andrea, we have never received our check or a response. Please send us our check. We will not give up until we receive the check that you promised and is rightfully ours for your neglect in not handling our luggage. I have just gotten back from a holiday in Cuba. My husband and I checked our bags in together a week ago. Mine never arrived. Spent most of my holiday in a lobby trying to find out where it was. I have been treated with such disrespect since this started. No one wants to help. All we get is here is the web site to fill out a form etc., We have done everything that has been asked and now they cannot find the bag even though it never left Toronto. It was a direct flight. I have been spoken to in such a rude manner throughout the week that I just cannot believe it. Reading the reviews above is shocking to think our nation airline can treat people this way. It has completely ruined my holiday. I am so blown away by this experience. Such patronizing treatment over the week and especially today. The last conversation, I was told I should go back to the Airport and talk to someone. I could not believe my ears. We just came from the airport as we arrived back today. We got a number from the service desk there and of course called it. We spoke to someone in India who kept saying fill out the on line form and that was the help we got. I am totally lost for words. There are important items to me in my bag and I am terrified I will not get it back. I just cannot believe this. We are considering what our next steps are presently but I am not letting go of this. It has now been 4 months since we flew from Phoenix to Calgary on Air Canada and we still have not received our compensation for personal items that had to be purchased ($50 per person, per day) for not delivering our luggage for our entire trip. We have contacted Air Canada numerous times from June 13th through today, October 25th, 2018. We have been told the check was mailed but we never received it. We emailed back 4 times and have not received a reply from Andrea Raymond of Lead Baggage Claims for Air Canada. We know Air Canada’s employees did not care about what happened to us on our vacation by the way we were consistently lied to and treated, especially since we were not “Priority Customers”. Since Air Canada is a valued customer of the company I work for that sells parts to them, this was the first time I had the opportunity to fly with them. Our reason for this trip was a combination of celebrating our 40th wedding anniversary by meeting family and going on a photographic journey through the Canadian Rockies. Before we boarded, we were informed in there was no longer room available for carry on luggage for passengers in zone 4. We went to the desk and explained how we had camera equipment in our carry on bag. We were assured this would be safely placed in stowed baggage; fragile stickers were placed on the bag and told it would be at the airport when we arrived in Calgary and handled with care. Minutes before takeoff the pilot announced the plane could not take off in the Phoenix heat with the weight they had on the plane and 1100 pounds of baggage had to be removed. Being in the airline industry I understand the safety of this decision but I do not understand Air Canada’s decision to fly a commuter jet into Phoenix that does not have the thrust to take off with the weight of passengers and their luggage. After the fact I found out that the plane that we flew on is known to have issues with the normal high temperatures of Phoenix. As long as the weather has been recorded, Phoenix is consistently above 100 degrees from June through September… this is not a rare occurrence or unusual situation. We would have thought that consideration would have been given to the carry on bags that were forced to be stowed on the flight, as typically these are must have items on a trip. The pilot said if our bags were not there, to go to baggage claim. When we got to baggage claim, the first question was did we fly Priority, not what you want to hear as a paying customer who saved up their hard earned money to take a vacation… you are not important to Air Canada! Standing at baggage claim we heard many other scenarios of the other passengers who were forced to place important carry on baggage and stow it below in the luggage compartment. Not once did we hear I’m sorry this happened. Just a stoic you get a $50 allowance and roll of the eyes at how busy they were… pretty heartless and very rehearsed… not our problem attitude. Spoke to a baggage manager who promised our luggage would be delivered the next day to our hotel and informed us he wouldn’t have ever left Air Canada stow that bag… we had NO CHOICE! We requested that at least our camera bag would be overnighted by FedEx to us but were told Air Canada doesn’t do that and would be on the next flight out. I asked the baggage manager if the plane couldn’t take off due to the weight of the plane in the heat, what makes Air Canada think another plane with extra luggage would fare any better. Our luggage did not make it to our first hotel. Called Customer service, promised it would be delivered to our next location in Jasper. Imagine our feeling when the luggage didn’t arrive. At this point our vacation was ruined, as this was our last opportunity to take pictures of the Canadian Rockies. A customer service rep told us there is only one flight from Phoenix to Calgary per day, and that flight was cancelled. Why does Air Canada try to use a plane that is incapable of flying out of the Phoenix heat? FedEx could have delivered our luggage the next day if Air Canada used their services as we requested. Once again we were promised our luggage would be waiting for us at our hotel in Banff and it wasn’t there, again. I called your customer service at night and in the morning waiting over half an hour with times with no answer. In the morning we checked one last time and it hadn’t arrived. The baggage concierge at our hotel in Banff recommended when our luggage arrives in Calgary, go pick it l up at the airport as soon as possible since we were staying at a different hotel in Calgary. In his experience, the luggage probably wouldn’t even be delivered to our next hotel until the morning and we were checking out early. He said the airline baggage area waits until they have a certain number of bags before they hire a service to deliver them. Every day we called and every day we were promised our luggage. Was this a ploy to prevent us from buying additional clothes? Your $50 doesn’t cover much of anything in a resort town. We spent our time in National Parks, not shopping. When I called the day before we left I was going to request our luggage be kept in Phoenix since we were heading back early the next morning. By this time, Air Canada flew our luggage to Toronto and then Calgary. When we went to pick up our luggage at the airport and complained how our vacation was ruined, we encountered the rudest baggage employee at Air Canada. He had the audacity to tell us “the baggage was marked as pick up at the airport… not our fault it was not delivered” Wow… that’s just what a person wants to hear after their vacation to photograph the Canadian Rockies was a complete bust and we were promise our luggage would be delivered every day and it wasn’t. The baggage employee kept adding salt to our wounds by scolding us that the camera bag would have been too heavy to be a carry on, instead of showing an ounce of compassion to disappointed travelers, he was making his point. I wouldn’t wish this situation to happen to anyone else. We have carried this camera bag for the past 10 years on small planes before throughout North America and never had an issue until now. We asked for a credit for baggage fee to send suitcases we never used back to the states but were denied since our flights back to Phoenix on Air Canada were changed to Delta. We get to the Delta counter and they have no record of our flight back to Phoenix. We were told to try WestJet. After 3 hours in the Calgary airport the day before we left collecting our delayed luggage, we found our flight home through WestJet. I believe Air Canada does bear the responsibility to take every measure to ensure they can meet their paying passengers fundamental expectations and should have sent an airplane that is capable of having enough thrust to take off in the heat of a normal Phoenix summer day with the weight of their passengers and their luggage. If Air Canada is incapable of meeting their customers fundamental expectations, before making a decision not to remove luggage, passengers should have been given the opportunity to make the decision to continue on with this flight or be reimbursed their airfare and be able to find an airline that has the capabilities of flying out of Phoenix. This was not just a matter of lost luggage or delayed luggage. This was a purposeful decision made by Air Canada to utilize airplanes not built for the Phoenix climate and not disclosed to its paying passengers. I, my wife, my daughter, her husband and my four grandchildren were so looking forward to fly to Vancouver with Air Canada. I booked the flight in March after reviewing other carrier options. I was convinced Air Canada was a reliable service airline and top grade. I was wrong. I am appalled with the way Air Canada treated me on August 9. My flight, AC7533 was cancelled and it was displayed, due to weather. I have never been on a cancelled flight that could not be rerouted or at least trade the tickets to another airline. And I have never been on an airline that cancelled a flight, unless the weather was so severe that all flights to a destination or area were cancelled. This was not the case with this particular flight. Why this flight was cancelled and not delayed remains a mystery, particularly since there was no adverse weather in Toronto on August 9. I was informed of the cancellation at 4:00 am prior to the 6:10 am departure only when I arrived at the airport. This did not provide sufficient time to make any other favorable arrangements. After the numerous emails I received from Air Canada since I booked the flight in March, I am somewhat puzzled why Air Canada could not give me a heads up before I departed for the airport at 2:00am. In fact up to 10:00 pm August 8, I received an Email that I could obtain my boarding passes electronically. The gate agent was extremely rude and insulting and said I should have planned better to avoid this situation. I requested that she assist me to find flight info that would get eight passengers to Vancouver . Rather than help, the agent stated there was no policy for trading tickets to another airline but she would book me on the August 10 flight.. The Air Canada policy that a flight will be provided “tomorrow” was not at all accommodating since I needed to arrive in Vancouver prior to 4:00 pm on August 9. The irony of this whole episode is that I checked the weather from Philadelphia through New York and finally Toronto. There was no adverse weather anywhere along the route. Toronto weather on April 9 from 6:00 am through evening was sunny, and partly cloudy with light winds. So please tell me what the “weather” cancellation was? Can you imagine the anguish you caused with trying to rebook eight people to Vancouver in less than 90 minutes without any assistance from your agent. There were six seats left on a Delta flight through Atlanta to Vancouver that cost $2130 for six passengers. There were a few seats available on a United Flight through Houston to Vancouver of which I booked two for $4000. Total cost of $6130 to get eight people to Vancouver booked in 45 minutes without any assistance from your agent. This was rushed, extremely anxietous, tearful and actually almost damaged four grandchildren that had waited for this trip since March. Total cost including your fare for the eight passengers was $8160. Not normal out of pocket cash. I request, considering all this anguish, rudeness and then suspect severe weather, that I be fully reimbursed the $2430 that I paid to Air Canada. I can’t help but believe that this flight was cancelled not due to weather but due to low booking. I contacted your customer service to find information of your branch office in Algiers, Algeria. I specifically asked them to give me a phone number or an address that I can contact. But, your agent sent me your website address. Is this some kind of a joke? Is there a person who doesn’t know how to look up a website? Does your agent ever read an email thoroughly? Or is this AI robot answering email with the keyword search? I have an issue with Air Canada misunderstanding visa requirements for entry into Serbia which they’re refusing to look into. Everyone from Serbian embassy in Ottawa, consulate in Toronto, office of foreign affairs in Belgrade and even government of Canada agree that visa for stay for over 90 days is not and cannot be issued in Canada in advance of travel. It is issued in Serbia in local police offices when you need to stay longer, and register accordingly when you’re there. So yes you need visa over 90 days stay but you CANNOT get it here, nobody can issue it to you. Air Canada refuses to acknowledge this point, or do anything at all to change their travel requirements, and my travel agents warns me people are missing their flights and losing their tickets every week because of this. Shame on Air Canada for giving me the runaround for 2 months, from one agent to another, even in person on check-ins, because nobody wants to check this information with any of the appropriate authorities, and change it. the High Speed Rail Market Assessment. If possible could you send me a hard copy. I know you will never read this or do anything about the problems that your customers wrote to you last year. It is now March 4, 2018 and your still have the same issues. I arrived in Shanghai 3 days ago missing one piece of my luggage. I am having all of the same problems most of your clients wrote to your company about. Why you do not fix the problem, I do not understand. No one answers the phone? when they do they give you NO information that helps. I even flew first class and they still do not want to get me my luggage. Several years ago I was flying Cathay from Vancouver to China and when I got to Vancouver they told me my luggage did not make for my flight to China. Air Canada would never do that. After I got to Hong Kong I had a flight to Xiamen. Hell Cathay got me my luggage the next day. Air Canada could never do that. If any one who cares reads this complaints I am still waiting for my luggage and as of this morning NO contact from Air Canada. If someone is reading this that really cares please call me on my China cell – 1536535XXXXX. I am on a business trip and there is very important papers and samples that I need for this trip if anyone cares. Remember that there is 16 hours different from the west coast. No one in India for Air Canada does. You really need to have some in China represent you on these kind of mistakes that you are making. You have NO one! You should call Cathay Pacific Airline to see if they would train your people. The cost would be money well spent from just the few e-mails that I just read about your major problem. Just remember that we all have a choice on which airline. Travelled from Vancouver to Beijing on May 24, 2017. Flight attendant served me a cup of noodles and the bottom of the cup burst spilling hot water on my clothing and my headphones. I have filed a claim with your customer relations department and have followed up 4 times since May and have not had anyone contact me with regards to reimbursing me for the damaged headphones. This is atrocious that you have an “email only” system, and that a passenger cannot speak to an Air Canada rep, This system is NOT working. NO response and NO resolution. THe absolute worst airline. Total disregard for passengers….lost2 of my bags for several days. Make getting compensated near impossible…..forms to file,,left on hold when attempting to phone for over 30 minutes…..told claims take 4 to 6 weeks to get resolved. I just read the account of the family of 5 that was refused the right to board their flight (on Sunday, I believe) in Toronto for London. They were presumably told it was because of the size of their family (??? ), despite the fact that the plane left with 8 seats empty!!!! They were then shuttled around, treated poorly, and ended up having to pay an additional $4000!! to buy other tickets ON THE SAME FLIGHT THE FOLLOWING DAY. Now explain that! 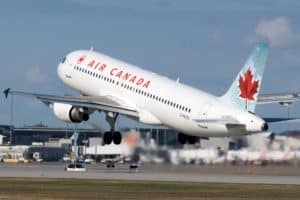 I certainly hope AirCanada finds the wherewithal to give an enormous PUBLIC apology to this family and refunds THEIR ENTIRE TRIP, including the cost of the original tickets. It’s the least you could do. I travel a lot. I will remember this incident and choose another means of travel until and unless I hear of a satisfactory resolution of this incident. My booking reference is MW2NAR. The flight we were scheduled to take from San Jose to Vancouver was cancelled, resulting in a missed connection to the flight leaving for Narita, Tokyo at 1:25 pm on Monday. Our group of seven (others with different ref. no) was re-booked by AC to leave on flights departing the next day (Tuesday). This resulted in a substantial loss of money and the loss of one day in Tokyo. The loss of money results from prepayment of lodging and transportation. For my part, my share of lodging and shuttle from the airport was $259.10 A bus tour was booked for the next day at a cost of $70. In addition, I enjoyed one less day of a trip that was already too short and for which I had already obtained time off. I believe I have the right to be compensated the $329.10. Thank you. AirCanada could not find our baggage for two days when we flew overseas. As a result, we had to purchase clothing to tide us over. We have been put through hoops trying to obtain reimbursement. Instructions given to us by Air Canada wind up in the lost baggage department who does respond in a timely manner that they only deal with baggage not reimbursement for clothing. They do provide a fax number. When information is faxed, guess what? We receive a response that they only deal with baggage not reimbursement for clothing. In speaking with reservations (the only way to reach a human being) a gruff voice told us that we need to go to the website under baggage services and complete a form. That was nonsense as it was for lost baggage. We are nowhere in the process of obtaining a reimbursement for the clothing. These people are impossible! Horrible service. I have been waiting 5 days for my son’s bag. They still can’t find it. 8/27/17. We have called 4 days in a row. How do you loose a bag? It has a tag on it? I have a better story than yours. I hope that everything worked out for you. I agree the employees at the airport and flight attendants were nice and friendly. Who knows what my luggage is going to look like or if I will every see it again. My mother was on hold 1 to 2 hours each time she called the 888 number for lost luggage. My luggage was left in Toronto, Canada and I have yet to see my luggage. It has been over 30 days now. My mother called and provided a home address for my luggage to be sent too over two weeks ago (half way through my trip). I arrived home 30 days after I left and discovered that my luggage still did not make it home. I spent my whole vacation (30 days) without my luggage. I had to buy new clothes, however I could not buy to many thinking that I would be getting my luggage. My luggage never arrived to any of my destinations. I am thinking my luggage probably has visited more countries and cities than I have because there has been no follow through from the company handling lost luggage and Air Canada. The webtracer tells me that my luggage has been in Dubai since July 6th. It is interesting that there are no phone numbers to call and it is all through e-mail. However, I did find a number to call and e-mail to send to someone in the customer care department. I have yet to receive an e-mail or phone call from either person. The sad thing is that the manager from the Toronto airport was the only one that e-mailed me back quickly. I have a complaint about the air line. My son and wife had a anniversary recently and decided to go to Canada. They left from San Antonio with a lay over in Houston. As of today her luggage is no where to be found. This is unacceptable. Her mother went to Houston (Bush Airport) and her luggage was just sitting in the baggage claim. They assured her that my daughter in law would have her luggage the next day and still no luggage. They have spent more money buying new clothes for her due to your airline incompetency. What can your airline do to fix your error. I believe they are due another FREE trip. Reimbursement of all purchases they have acquired on this two week vacation. I think your entire system is horrible due to unable to speak to an individual over the phone to rectify the problem. You can reach me by email. I know you have 24 hours to get back to me about my complaint. Reference #YYZAC79501. I want the email address of ceo Mr. Rovinescu..
Want to make sure Air Canada sees your comment or complaint?